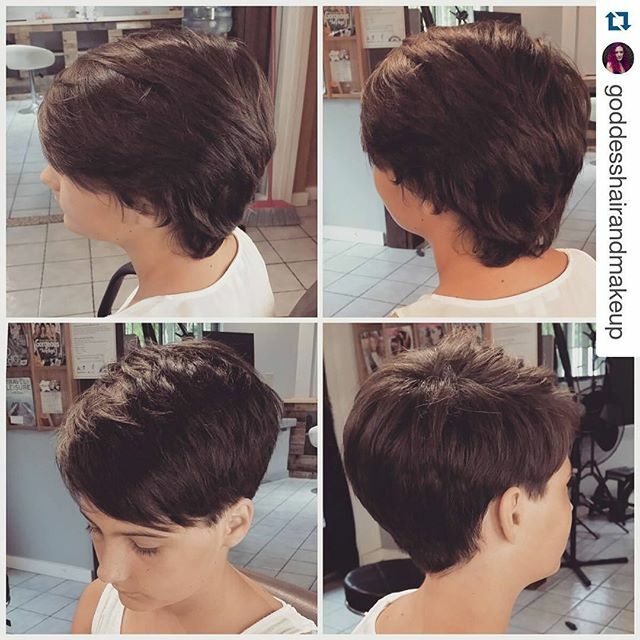 Simply put, pixie cuts are sensational. 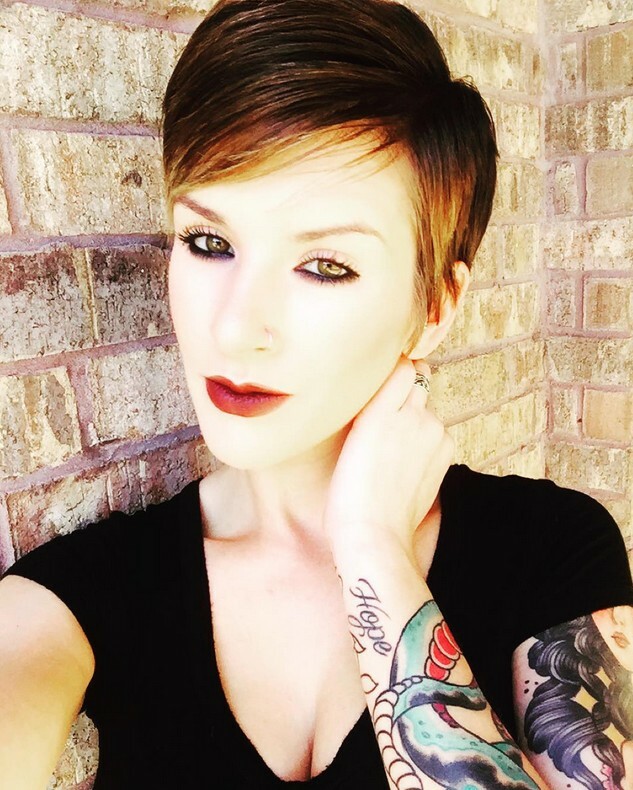 As one of the most classic ways for a woman to wear short hair, not only is it a timeless look, but there are so many different fun and unique ways to style (and color) it. 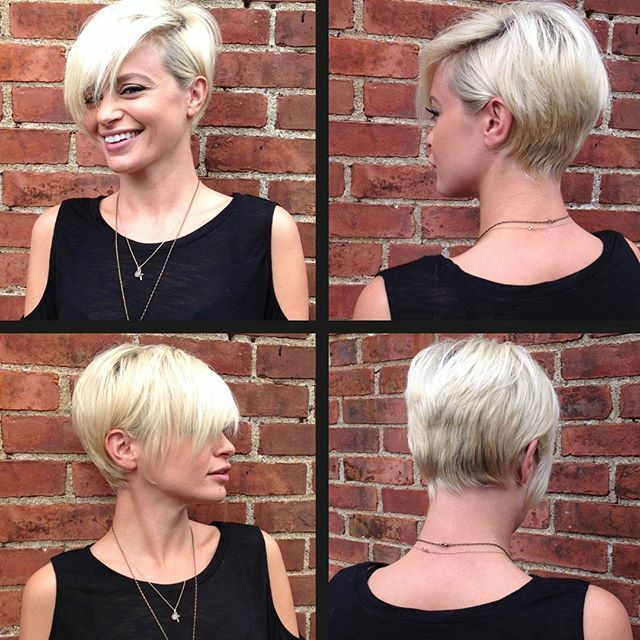 Short pixie cuts can be extremely low maintenance (yep, you can simply get up and go!) and based on how you get it cut, it’s pretty easy to transition into other looks later down the road. But if all of this hasn’t convinced you to make an appointment with your stylist, hopefully the following pictures will. 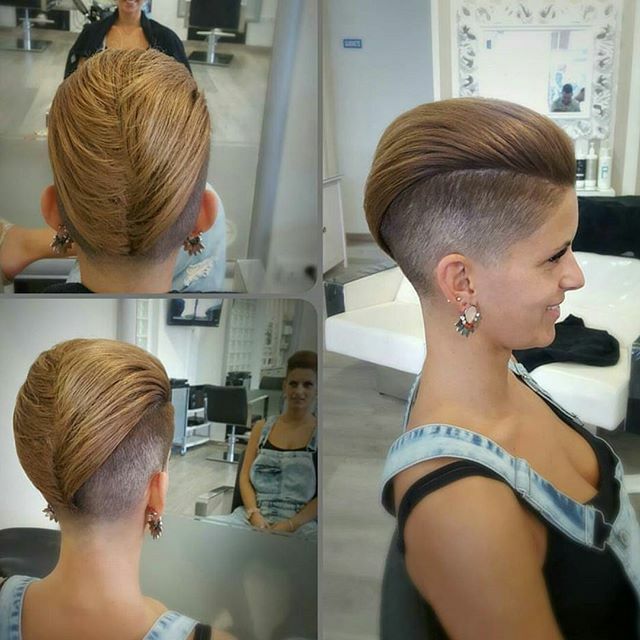 This is a pretty awesome short haircut, no matter what. 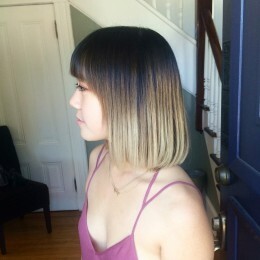 But the fact that it has a layer of blonde up top (and throughout the front) while being dark underneath makes it look almost multi-dimensional. 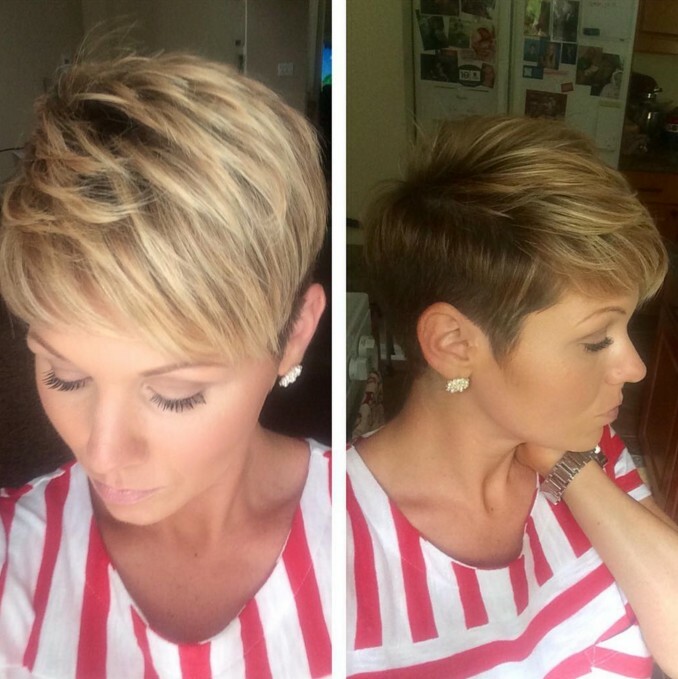 Simple easy daily hairstyle for women: This is basically a shorter way to wear a classic pixie. It’ll work on any woman of any age. Really well. If you have a pixie that you’re currently in the process of growing out, here’s something that you can do with those “disheveled pieces”. Put in a side part, add a bit of product and push your hair to one side (or the other). We know you have to tilt your head a bit in order to take all of this look in. But once you do, c’mon! Isn’t it totally worth it? 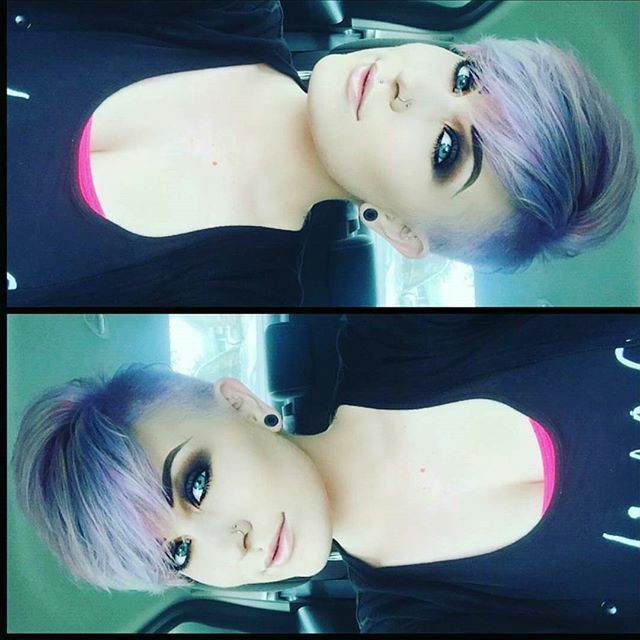 The cut and color are pretty amazing. If you’re not familiar with who actress Brigitte Nielsen is, when you get a chance, Google her. Back in the 80s, she looked a lot like this…including her hair. Yeah, she was pretty amazing back then. 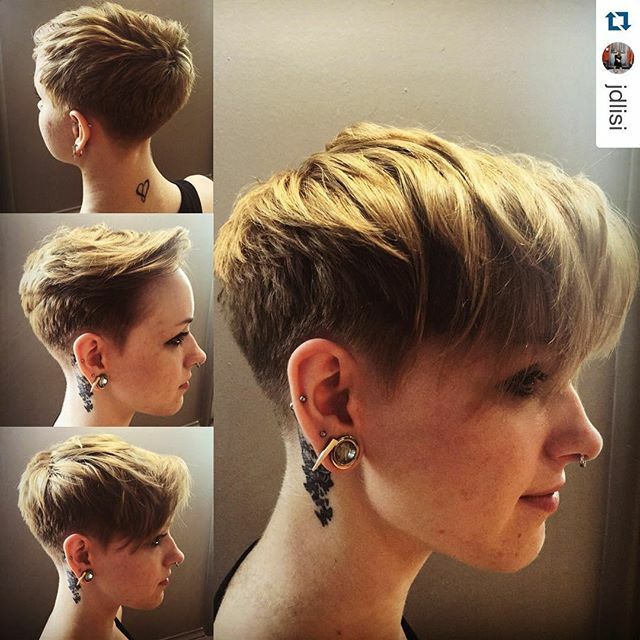 You will be now by “revisiting the past” with a pixie cut that’s just like this one! 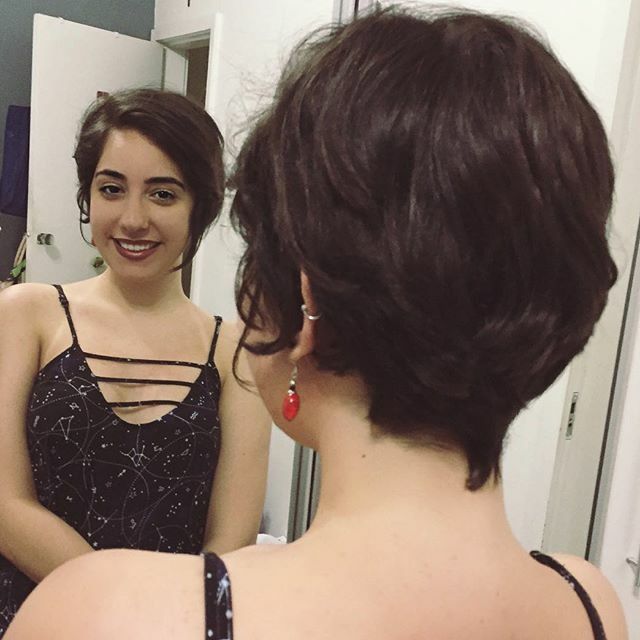 Daily haircut for short hair: pixie!~ As you can see from the “before” picture, this model’s hair was already pretty short. 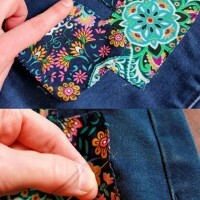 But what makes it look a lot sleeker is the fact that the sides are tapered. 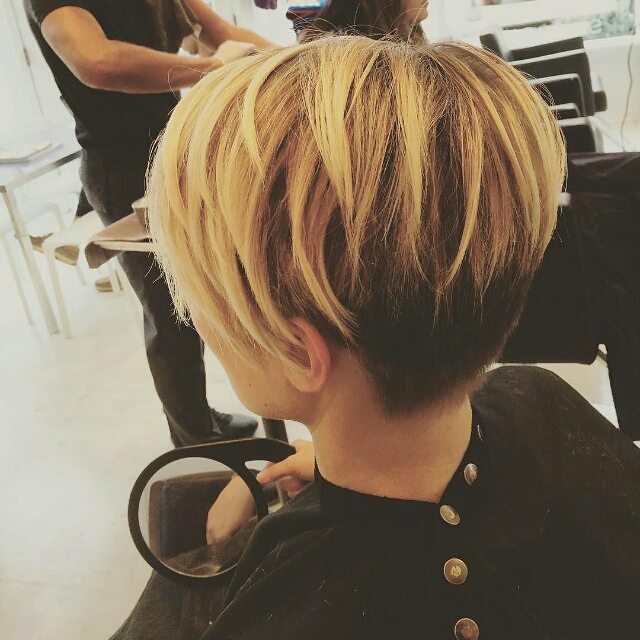 Although we’re calling it uneven because one side is longer than the other, a pixie cut like this one can put your life perfectly into balance! 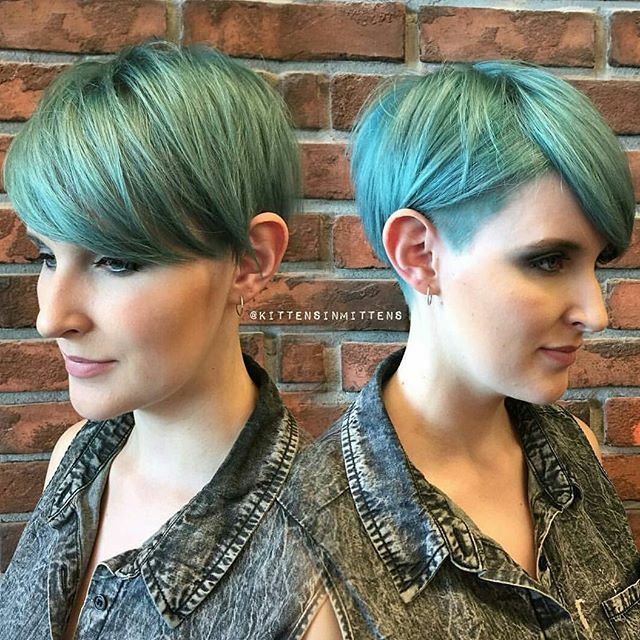 Blue is popular right now when it comes to hair color, but we totally get it if you don’t want to have light blue, aqua or even royal blue hair. How do you feel about this approach to the trend? 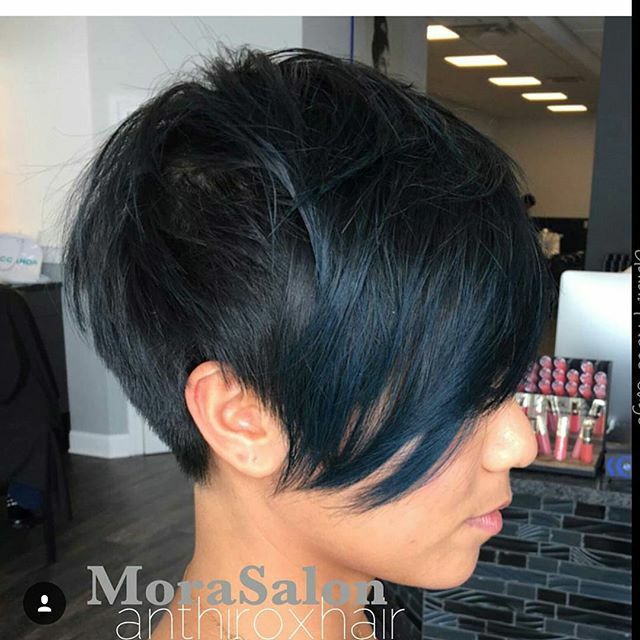 Jet black hair with dark blue highlights. It’s pretty striking to us. A favorite color technique, no doubt. 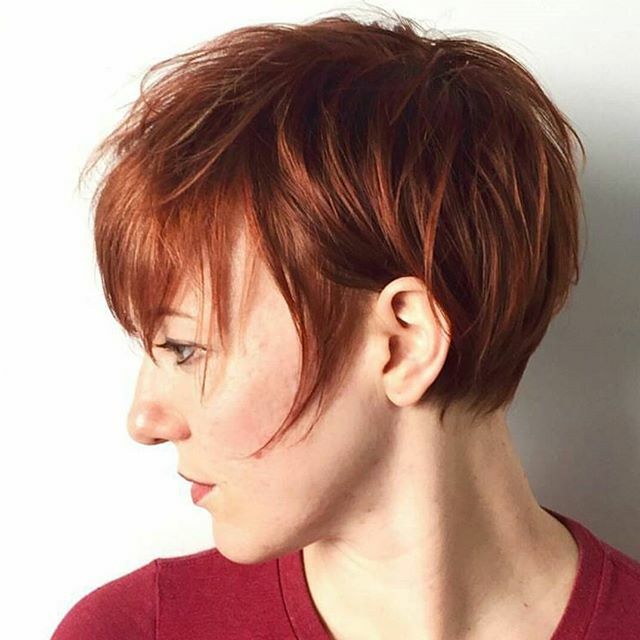 Short haircut for 2016: Copper is a big trend right now when it comes to hair color. Sure, this cute is pretty impressive on its own but the color is definitely what takes it to a whole ‘nother level! 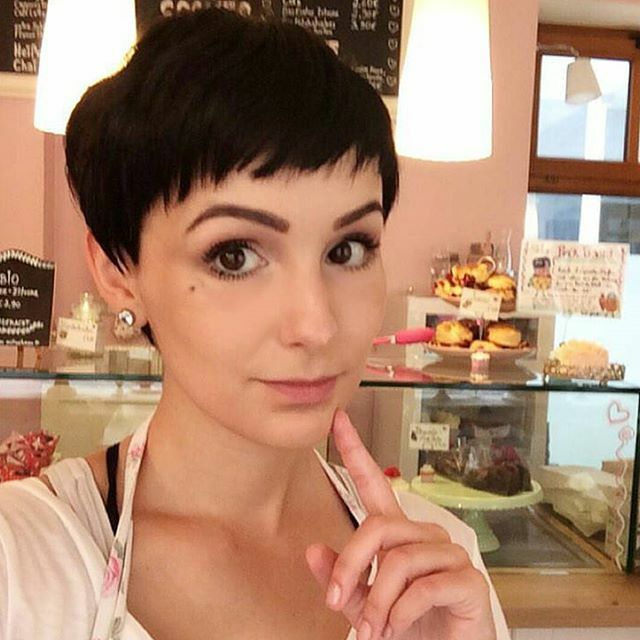 There are two features that makes this pixie extraordinary. The super low tapered back and the fact that it’s colored black and white throughout the top and sides. Looks like something that Ms. Miley would try, doesn’t it? A razor is what helps to give a hair more definition. The cut itself is super cute but the detailing on the neckline is what really catches our attention. Yours too? 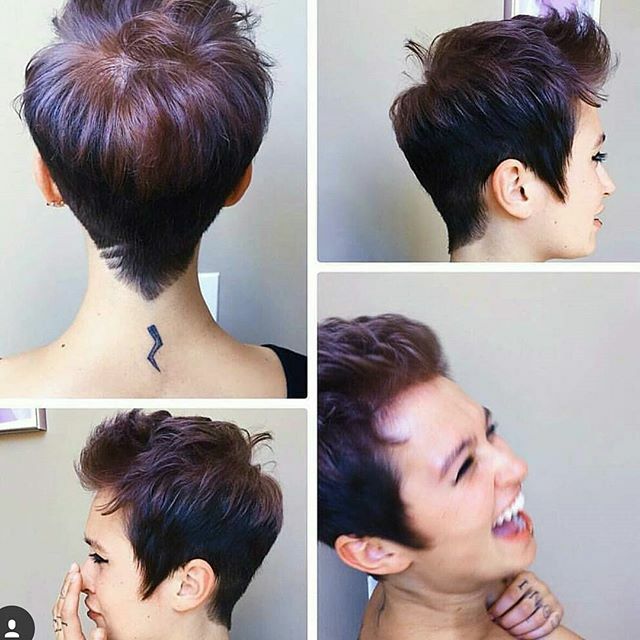 Although the right stylist can cut pretty much any pixie into a way that you can wear the top and front of your hair either forward or backward, the reason why this one earns the “front-or-back pixie” name is because it’s cut in such a way that your hair will look like it was made to be styled…no matter which direction you brush it. Is your hair naturally curly? Then cut those sides down and leave some length up top. But don’t straighten it. Let your curly tresses flow! A-line pixies are nice, not just because of how they look but how easy they are to grow out once you’re ready to try something new. 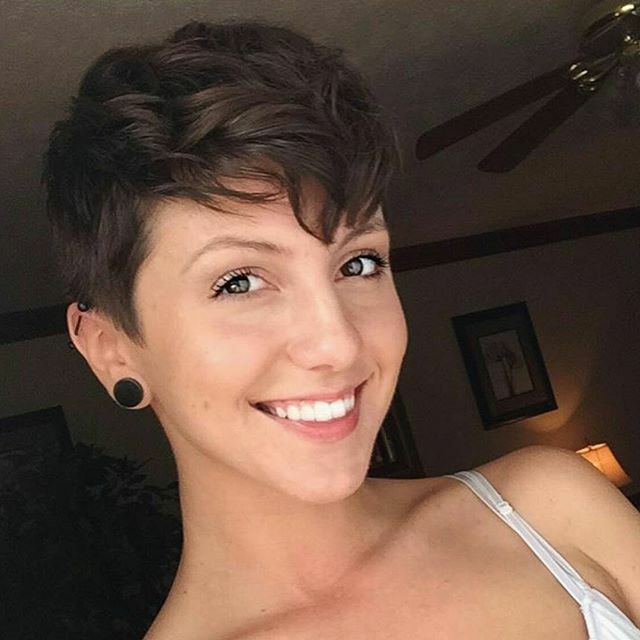 A killer pixie cut. An amazing approach to color. Rather than totally changing your entire head, do a bit of creatively highlighting. If you decide to “trim the front”, we guarantee that you’ll receive “ooos” and “ahhs” everywhere you go. 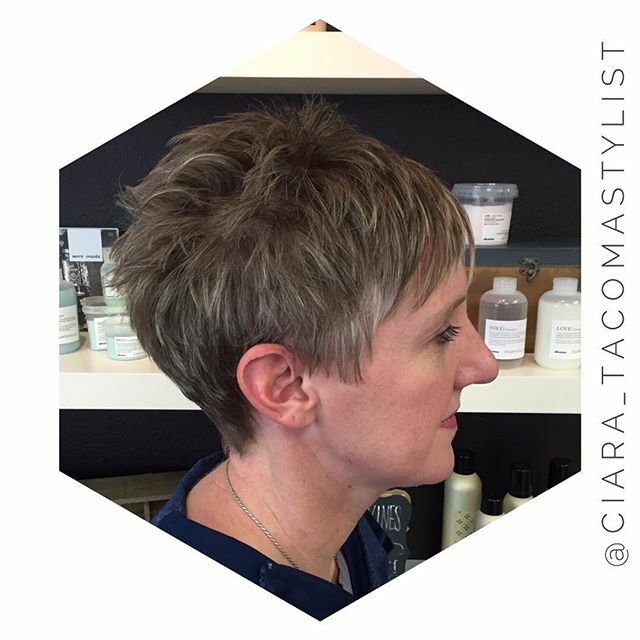 If you’re a woman over 50 and some of grey has started to set in, here’s how you can wear a modern cut while still keeping your natural color. We support you doing both. A green pixie ain’t for everyone. But if you looked at this picture and thought “Yeah, I need to get that look!” then we know who it is for. The bold and daring..YOU! 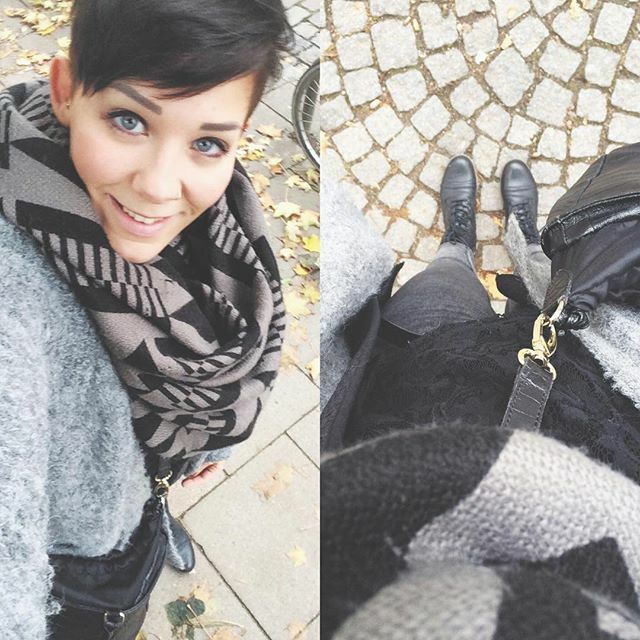 Do you love these chic pixie cuts? If you don’t want to cut your hair too short, why not try these classy bob hairstyles? 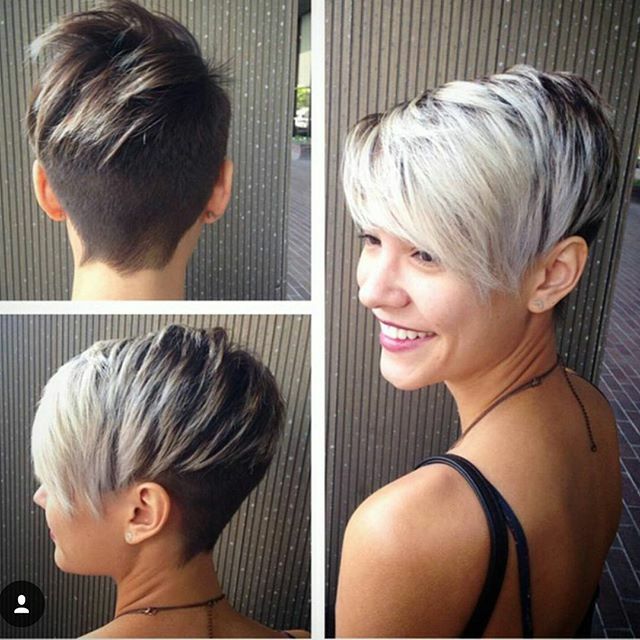 I would like to see all angles of cuts, front, sides and back.